Corporate events are special opportunities for the advancement of a company. So it is important to understand how to properly perform while attending these functions. Your level of decency will reflect on how your company looks to other people, such as potential clients, superiors, and/or employees. 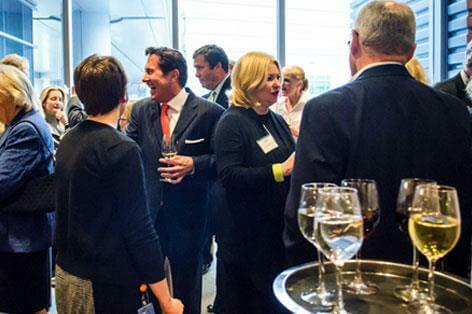 Here are a few key tips for proper etiquette while attending corporate events. Whenever reasonable, be sure to thank the host of the event for putting it all together. This is a great way to build up company relations and morale. It shows that your company thinks about more than just their own people. It would be wise to research the people you’ll be meeting beforehand, that way you will be more prepared for conversation topics. Not only that, but they might also be impressed with how much you know about their business in the first place. As with any relationship advice, the key is always to listen. Listen and ask questions about the other person’s concerns. No matter if the event is about new employees, company expansion, or networking, everyone comes with a certain goal in mind. Even if it is merely a holiday party, people are still looking to see if you have their best interests at heart. This is how they decide who is best to work with next year. Be careful not to just enter a conversation that you are not warranted to join. Even if you happen to know a lot about the topic, it is still rude and slightly awkward to just chime in without an invitation. If you want to talk to someone in the group, politely approach them as soon as they get out of the conversation. You are still technically working, and need to give a good professional impression to the people whom you are meeting with. These meetings are all about company progress, and no matter if you are speaking with your boss, co-workers, or potential clients, you still need to act as a positive representative for your company. Here at Successful Affairs, we express precise concern for all aspects of our corporate events, and that includes how our team prepares the events. We believe in leading by example for all who want to set up a happy and productive corporate event. For reviews on our previous events, please see our corporate party testimonials.